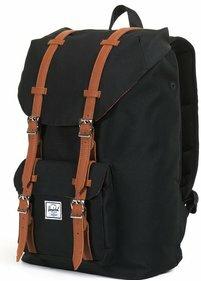 The Herschel Little America backpack is the largest variant in the Little America series. 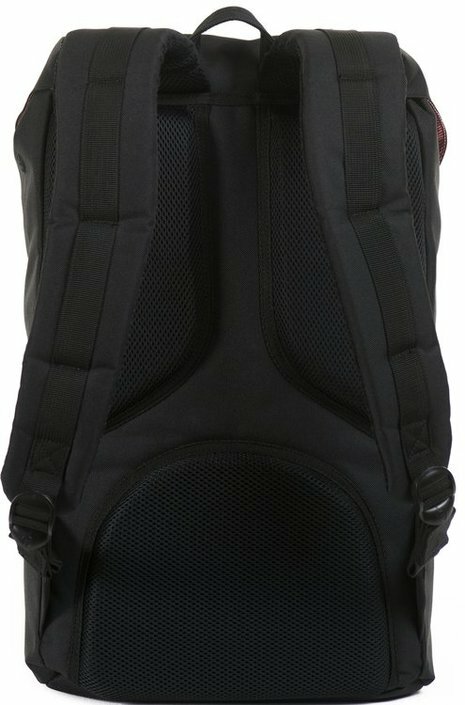 This practical backpack features a large main compartment with 25 litres of storage space. 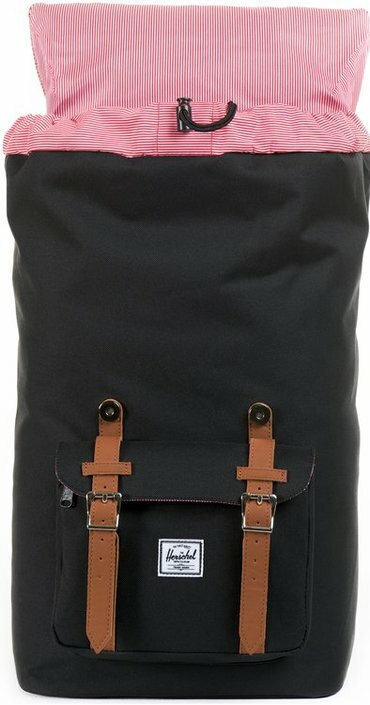 The main compartment can be easily closed by means of a drawstring with two buckles fitted with magnetic fasteners. In addition, you will also find a laptop sleeve in the main compartment, so you can safely store a laptop of 15". The laptop sleeve is also equipped with padding which gives it extra good protection. On the outside there is a small front pocket in which you can store accessories. Finally, you have the possibility to store your phone in the internal media pocket that is also equipped with audio port. This way you can safely store your phone and listen to your favourite music at the same time! 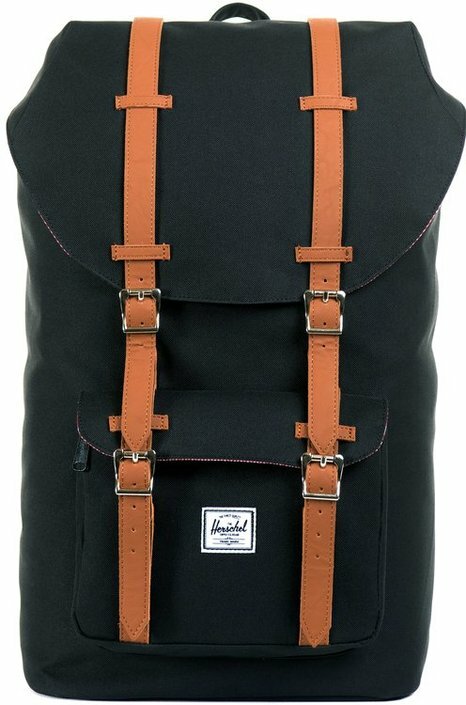 The Herschel backpack was a birthday present for my son. It arrived well packaged and in perfect new condition. Speedy delivery and great price - very pleased. He loves it. 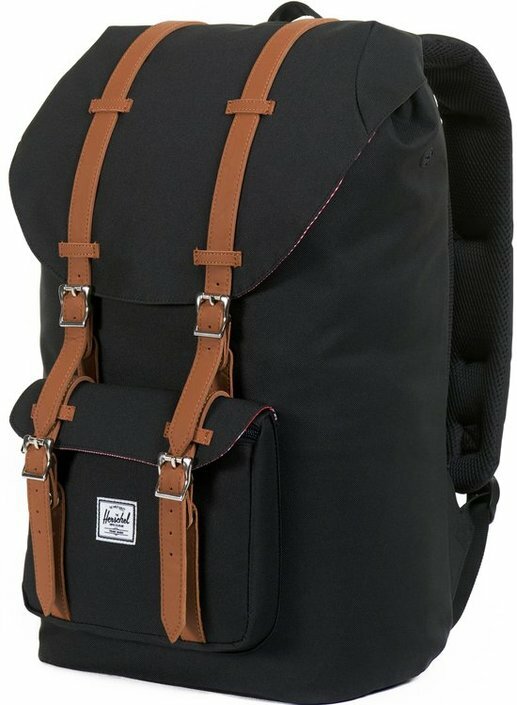 He can carry his university papers, lunch, gym clothes, and even a laptop, maintaining a sleek city line, without looking like he is going camping. He is thrilled.